Hepatitis B, cirrhosis of the liver can be treated! Patients with chronic hepatitis B virus and have significant liver disease should begin treatment. The main purpose is to stop the liver fibrosis and to prevent the occurrence of cirrhosis and liver cancer., Thereby restoring the patient's health and quality of life. Through the inhibition of hepatitis C virus propagation, we can prevent inflammation of the liver, liver fibrosis and cirrhosis. Get screened: If your hepatitis B surface antigen (HBsAg) test is positive, you are chronically infected with hepatitis B. Although many people infected with hepatitis B have no symptoms and feel "healthy," they still run a high risk of suffering from liver damage or developing liver cancer. It is important for infected individuals to have two blood tests performed every six months: alanine transaminase (ALT) to test for liver damage and alpha-fetoprotein (AFP) to screen for liver cancer. After 30 years of age, an annual liver ultrasound is recommended. Combining both tests make the diagnosis highly accurate..
Get help: Not all people chronically infected with hepatitis B need treatment. However, if your blood levels of ALT are elevated ongoing liver damage may be occurring. Treatment with either lamivudine, adefovir or entecavir (a pill taken once a day) or a course of interferon shots may be appropriate in this situation. These are the only four FDA-approved pills for chronic hepatitis B. 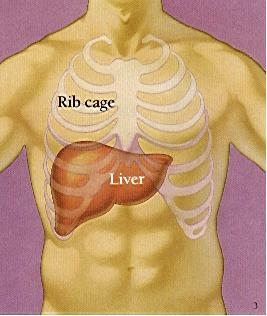 Appropriate management can reduce the risk of further liver damage and liver cancer. Get Informed: People chronically infected with hepatitis B can enjoy completely normal lives, but need to take some necessary precautions. To avoid further liver damage, you should receive the hepatitis A vaccine and avoid drinking alcohol. To prevent transmission to others, do not share toothbrushes, razors, injection or tattoo needles because they may be tainted with blood. Also, ensure that all members of your household are tested and vaccinated if they are not already immunized. If you are uncertain whether your partner is protected, the proper use of latex condoms is recommended. Pregnant women infected with hepatitis B must make sure the newborn receives hepatitis B immunoglobulin (HBIG) plus the first dose of the hepatitis B vaccine at birth, and then follow-up with the second dose at 1-2 months, and the third dose at 6 months. This will be 97% effective in protecting the newborn from becoming a carrier. Take control of your own health, learn about the management and treatments available for hepatitis B. Don't be fooled by advertisements for unproven methods of prevention and treatment.